In the fantastic Swiss alps I have my private little 'Youth-hostel' for all ages and people from different walks of life. 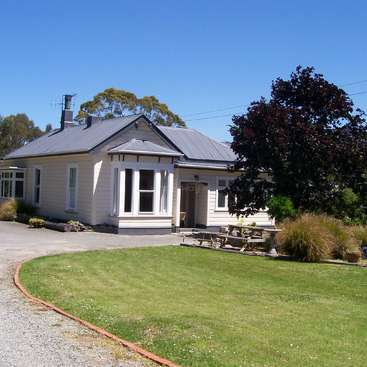 I rent out four rooms from apartment 1, 2 rooms from my apartment 2 and a studio (14 beds). I enjoy very much to bring people together by having meals at the round table etc. My place offers you contact with people from all over the world. 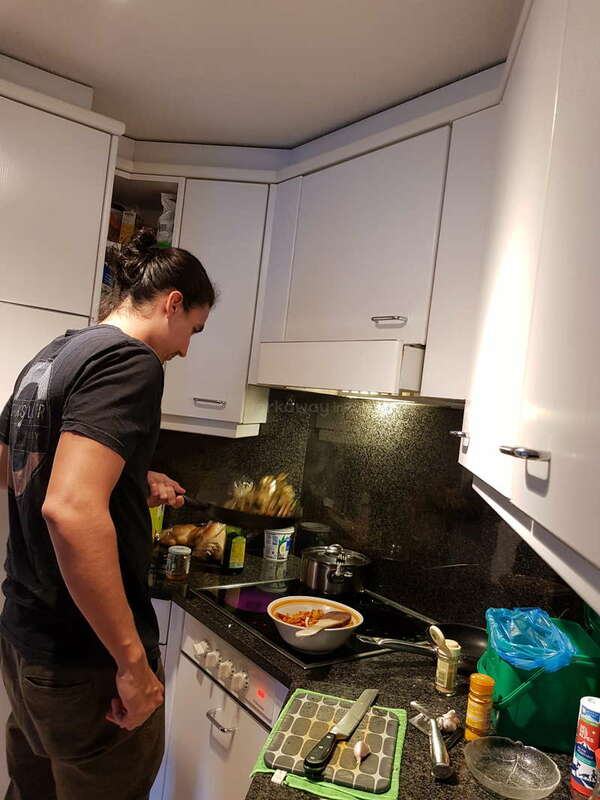 You would help me with the daily housework and at times cook local meals. Yes, people who are with me from Workaway get to eat for free. You also have time for hiking/biking/skiing/climbing etc. Zermatt and area is a stunning place in nature. To have a Workaway would give me the chance that I still could write sometimes or stay out sometimes. 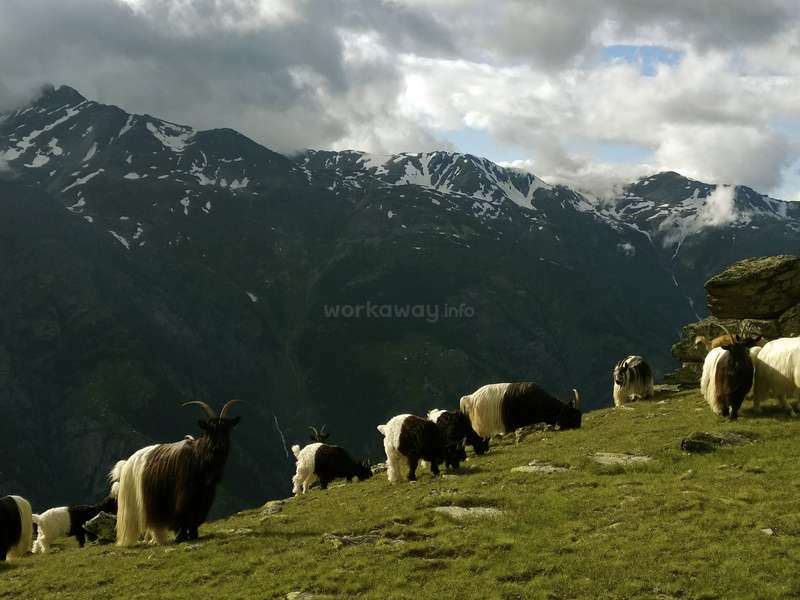 I look for Workaways who love mountains and be in the snow and can benefit from this fantastic ski resort. I no longer are able to take couples. At this point no exceptions. Single person only. I went back to school in Los Angeles, studied psychology graduated two years ago, together with my daughter from my Masters of Fine Art in Nonfiction Writing. I'm a writer. I have two children. My daughter, 23, lives in California, my son, 25, studies in Switzerland. I think the biggest benefit is to get to know people from all over the world, practice languages, especially strengthen your English. However, basic English skills is required. You get a good idea about life in Switzerland. Cleaning rooms and living spaces. Contacts with guests. Single room or shared room in an apartment. 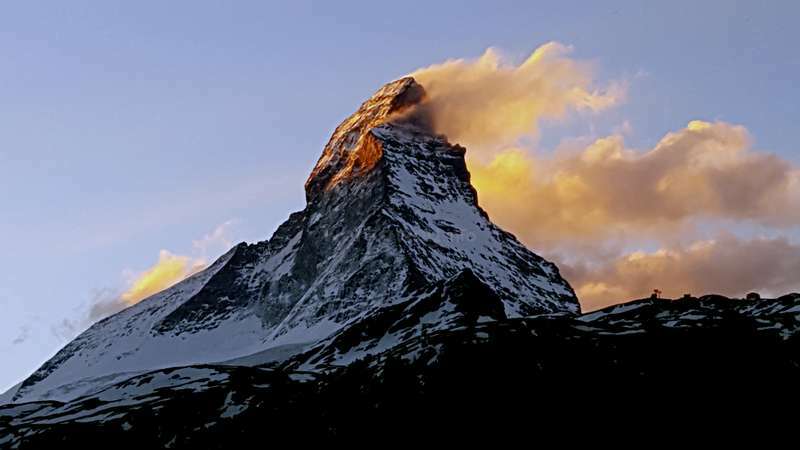 Zermatt is the paradise of outdoor activities. I have maps here of all sorts and explain my guests what they can do too. Living so close to the glaciers is very special. Simone was an excellent Workawayer, quick learner, mindful and just a fun person to be around with. I highly recommend her. Thank you, Simone, it was a gift to have you here. Thank you for all your help! Wish you the best! There is no word to describe how my amazing the time I spent in Zermatt was. From the very beginning I got along with Constanze really well. She is an easy-going, warm and funny person. I do not suggest you to go in Zermatt if you are a city person. But for the mountain lovers, the village is really cute and there is no car! Moreover, during my… read more free time I did a lot of hiking and most of them I could start right behind the house! 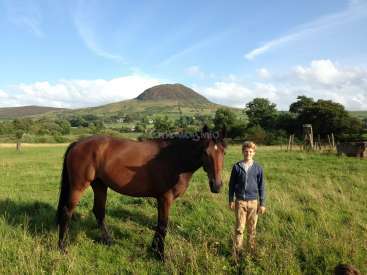 the location is ideal! 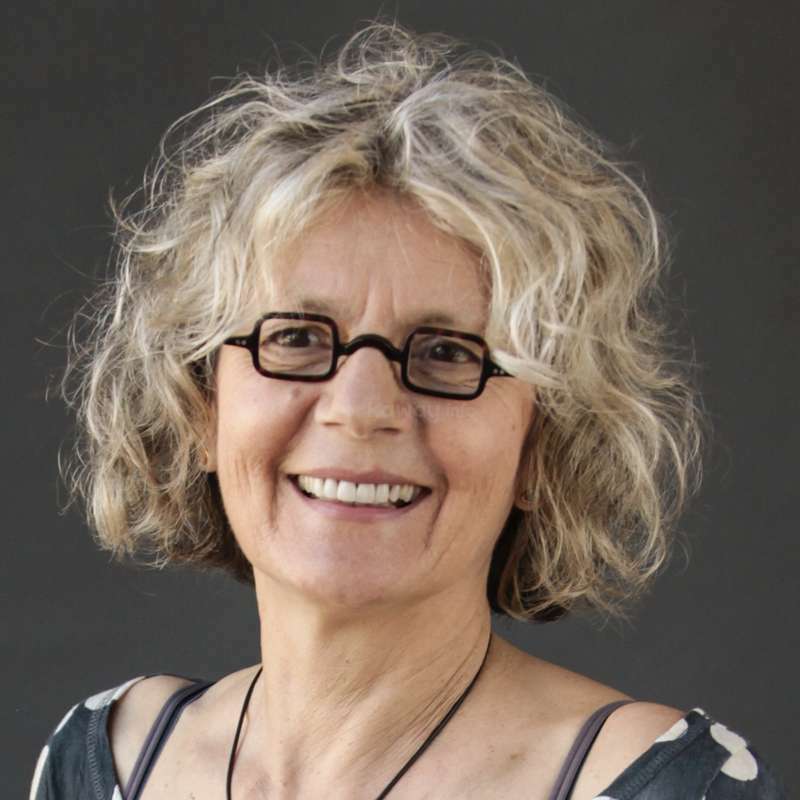 Constanze will introduce you to the swiss culture. 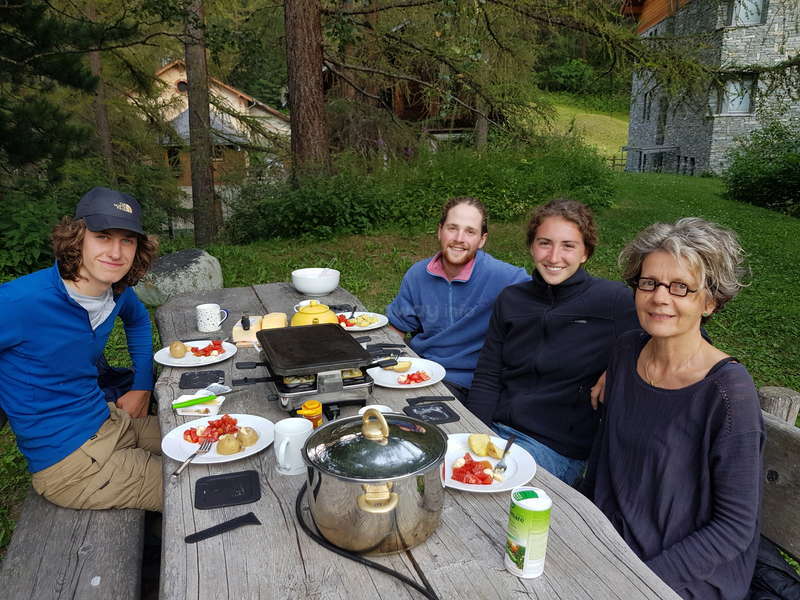 You will get to eat and learn how to prepare fondue, raclette, birchermuesli etc (swiss dishes yumm). The vibe at Constanze's place is really nice. Every day you get to meet new guests from all around the world and share stories at dinner. It's priceless. One thing I enjoyed very much was drinking my tea the morning on the balcony with a stunning view of the mountains. The work load is not too heavy and Constanze always make sure that you don't work too much. She is really caring. I will never forget the beautiful memories (and the funny stories) I made and shares with Constanze during my time in Zermatt. Thank you again so much for your hospitality! Manuel adjusted easy to different kind of work. He was determent to work and was flexible when things unexpected changed. Manuel is a very calm and kind person and easy to please. It was a joy to have Manuel here. Thank you, Manuel, for being here! I am very thankful for the opportunity to be in the Alps. I was not prepared for winter and Stanzi gave me all the things I needed. I want to thank you for your kindness and warmth. I felt like at home. I appreciated the opportunity to improve my languages and enjoyed meeting the people from all over the world. I did not expect that I would… read more enjoy the Alps as much as I did, like the beauty of the Matterhorn. I hadn't been able in my life to see so many stars, the milky-way so clear in the sky. I had a healthy life with clean air and water. For me Stanzi's place was a fantastic workaway experience. I am very grateful. It was a good balance between working and having time to experience the mountains, hiking, climbing etc. Zermatt is a great paradise! Just to be here, serenity of the place, nature... The house is cozy and you feel the good energy right away. You share time with guests… read more on daily basis and you hear and speak different languages, a great learning experience and sometimes funny. The intimate community here with the mutual respect for each other allowed me to connect with each guest- I met great people and made friends for the future. Stanzi connects also easy with the workawayers. She works with whatever skills the workawayers brings and she accommodates you with your needs and desires. She is flexible. She's lovely, sincere, and yet has lots of stories to tell! I highly recommended to stay with this host. It was a pleasure to have Sandrita as a workawayer here. Actually, she was a gift to me every single day. 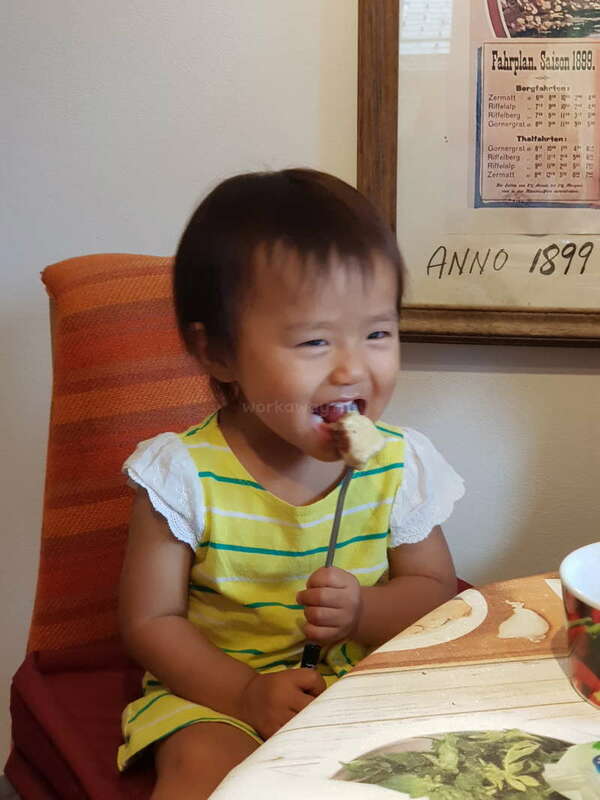 With her friendly personality and open mind, she was easy able to connect with all guests, anticipated their needs and explained them how they could use their time wisely on their precious vacation. Sandrita is a fantastic coworker; She didn't… read more need much explanation and worked independently; she anticipated what needs to be done. I am grateful for her useful suggestions plus she is just fun to be with. She is sincere and she adjusted easy when sudden changes occurred. 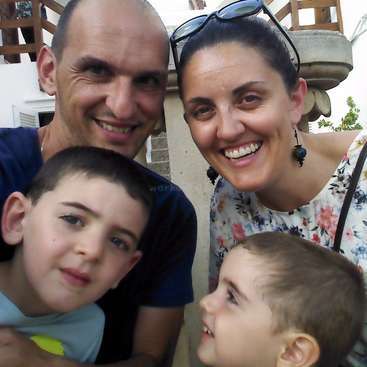 Sandrita is the best example from a workawayer, a dream for all the hosts! All I can say now is THANK YOU for a true friend for live! Constanze is amazing. She's well traveled, educated, flexible, and generous. I stayed for a month and had a wonderful time. The job mostly entails cleaning, cooking, and customer service. At the apartment, the atmosphere is very inviting and engaging. I got to meet guests from all over the world and am still in touch with a few. 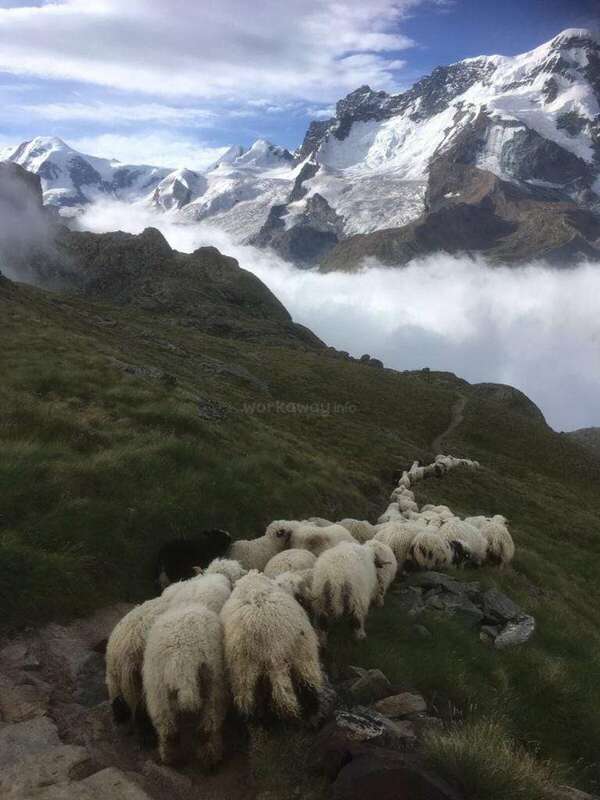 I got to go up… read more the Gornergrat, went to other cities in Switzerland, etc. The town below is quaint; fun to go in during the day if you like shopping. If you are a hiker or love the mountains, this is the place for you. It was a joy to have Marc here. Marc is outgoing, has an easy way to talk to guests. He liked to be independent and still was always ready to jump into work. I felt supported also because Marc was reliable. Marc was a gift to have around every day. I liked that he was curious about the bigger neighborhood and explored and hiked all over the… read more mountains. It was easy for me to have Marc here. I appreciated his help and Marc is welcome back anytime. My experience in Constanze's apartment was very nice! I could only stay here for two weeks but it was completely worth it. 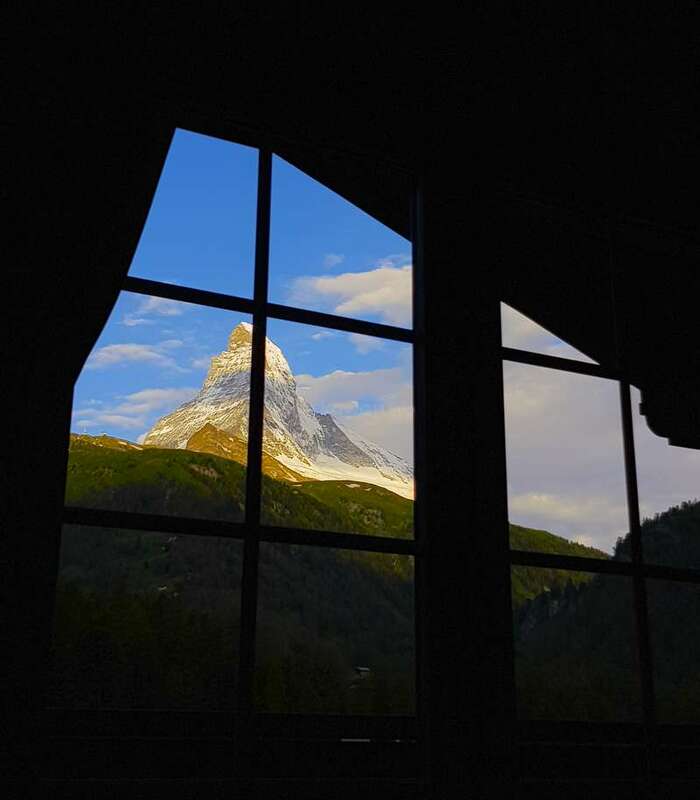 The atmosphere in the apartment is really cool, you get to know people from all over the world that gets here to observe the majestic Matterhorn. 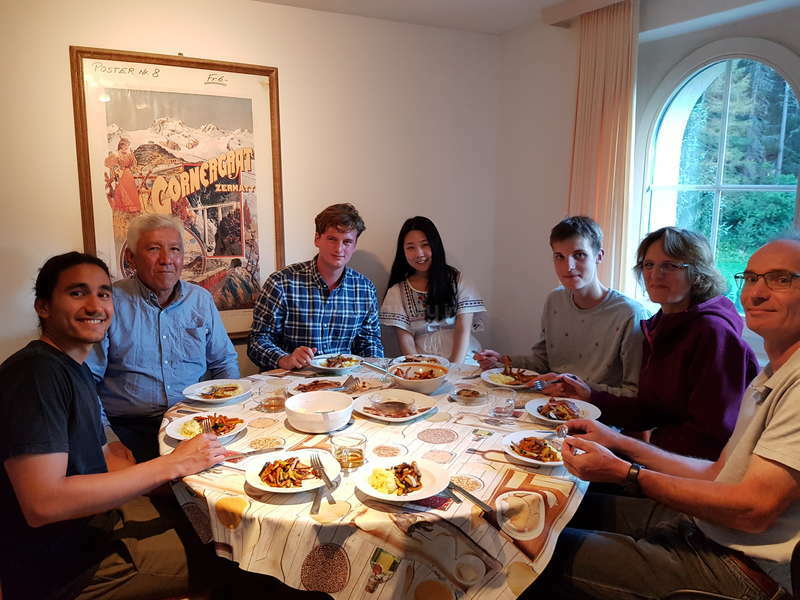 Often we had dinner together (Constanze, the guests, and me) and it was always… read more nice to chat with them. 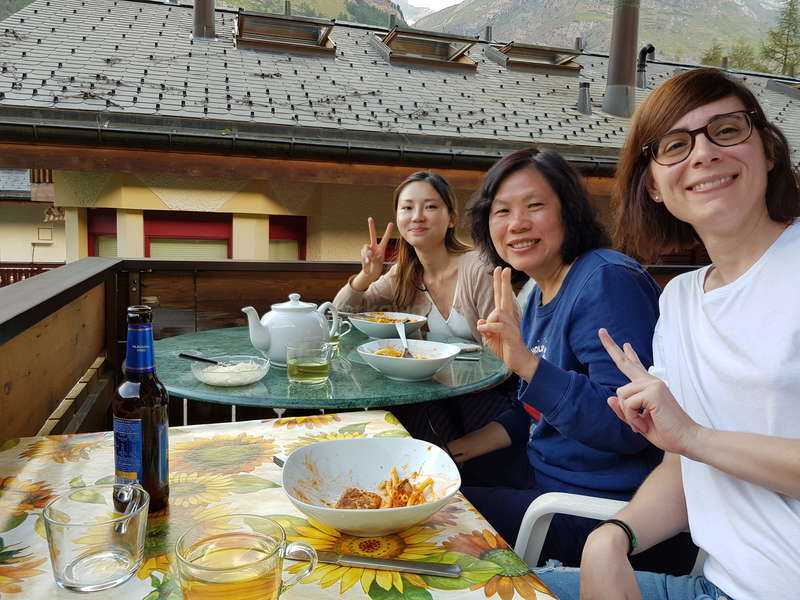 The apartment is really comfortable and cozy and the work was mainly housekeeping (cleaning rooms, making beds, help with cooking) and it always depended on the amount of guests but you always get enough time to enjoy your free time and explore the amazing area around Zermatt. 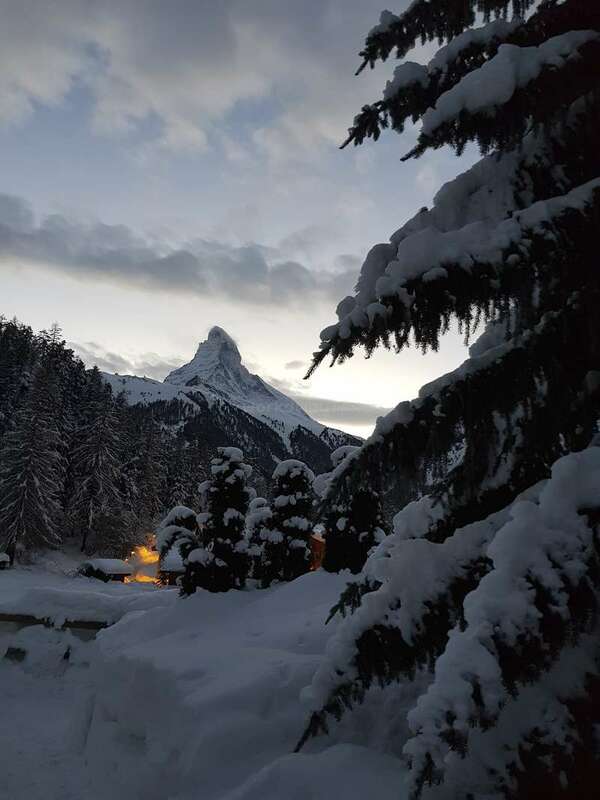 What to say about the location, it's just perfect, you get a direct and privileged view of the Matterhorn from the balcony and the apartment is located in a really quiet and nice area, but still close to the center of the village if you have to go there. I love hiking so this was paradise for me, there are so many hiking possibilities around! Constanze was really welcoming and easy going all the time while i stayed here. I highly recommend to stay here, thank you very much Constanze for this opportunity, see you soon! 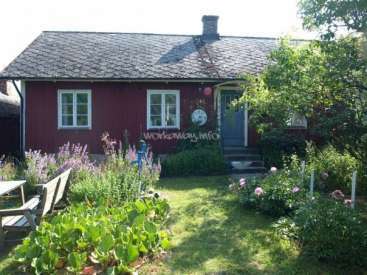 Volunteer on a small farm in the South East of Sweden.